How much do violin lessons cost in Singapore? Do you plan to improve your violin skills? Then, you must learn it from expert teachers in Singapore. However, there are many violin teachers or schools in the market today. With this, you may find it hard to choose the right one that can perfectly match to your needs, requirements and your budget. To help you with this, the following are helpful ideas for the violin lessons Singapore price. Below are the monthly fees for 4 lessons and each lesson is 30-45 minutes. Please use these prices as a guide only, as each student will be thoroughly examined to fit the best violin teacher and the fees vary from teacher to teacher. The rates of the violin teacher can vary with different factors. Make sure that you are learning well with the help of a professional violin teacher that is committed to bringing top grade quality service in a very friendly and practical cost. It can help you to save more of your budget. If you are a budget conscious student who wants to learn to play the violin at an affordable cost, then you must know the following factors. These can guide you to determine the rate of the violin teacher. 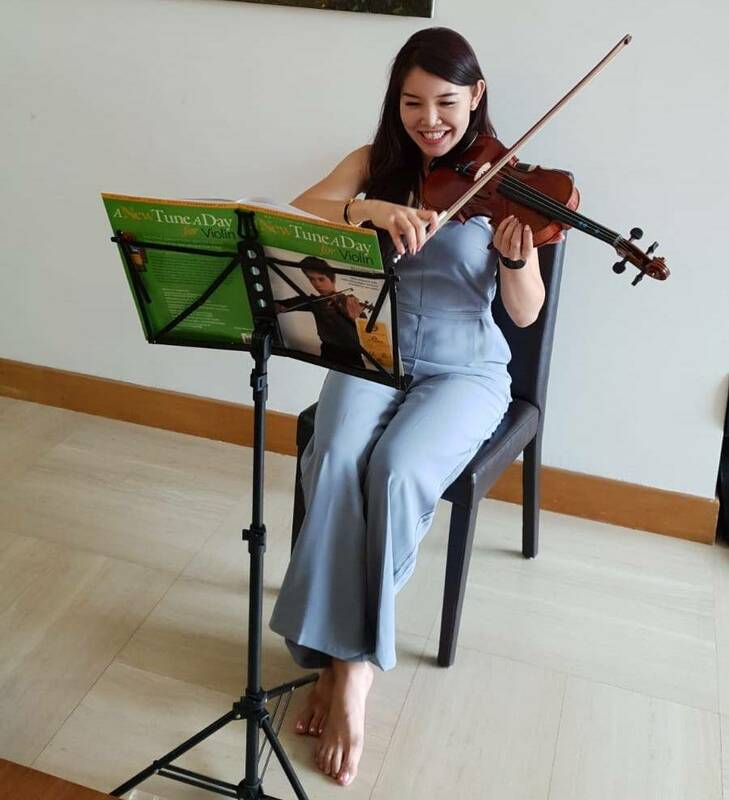 Full-time violin teachers commonly offer their violin lessons Singapore price at a higher rate compared to part-time violin teachers. However, you can also ensure that you can get a quality service from full-time teachers because they have enough time to help you improve your skills in violin. The years of experience in teaching the violin instructor can be a big factor in the price of violin lessons. The long years of experience they have, the higher amount they will command for their violin lesson fees. If your teacher has qualifications such as Diplomas or Degrees, then you can expect to pay a higher rate for your violin sessions. Some of the violin teachers in the market today provide their violin lessons based on a grading fee structure. The price of the violin lessons increases as the students advance to the next level violin grade. At Learn Violin Lessons all of our teachers are a team and each teacher from our team is carefully picked to suit the student by teacher Janice. Nowadays, you can also have the chance to learn about playing the violin even at your home. With this, you can have a more comfortable way of learning violin lessons. You don’t need to commute because your violin teacher will go to your home to deliver their violin services. It can also give you an additional fee for the transportation services of your teacher. Having violin lessons at your own home can be the most convenient way for you. However, it can require slightly higher fees that you need to pay to your teacher. On the other hand, you can also go to the studio of your teacher. In this case, you do not need to pay for teacher’s transportation fee. You can also have a routine that will help you to improve your punctuality. Thus, you are required to arrive in the studio of your teacher based on the schedule agreed. As we covered the violin lessons price in Singapore, you can also find helpful ideas about home violin lessons in our next article. There, you can learn about the advantages and disadvantages. Meanwhile, if you are conscious of the budget but want to get quality violin lessons, then you must research the background of the violin teacher by contacting teacher Janice. The price of violin lessons of teachers in Singapore can vary due to different factors. You must consider the above factors to avoid disappointments in the end. Some teachers claimed to serve violin lessons, so you must be wise to ensure that you are only dealing with a professional and trustworthy violin teacher. If you don’t like to waste your time, money and effort, you must research first before committing to your potential violin teacher. Hence to save you time with this, we have created a team of professional violin teachers in Singapore to help you learn this beautiful instrument at the comfort of your own home. To learn more about the violin lesson rates contact teacher Janice, to be allocated the correct teacher that you deserve at an affordable rate.